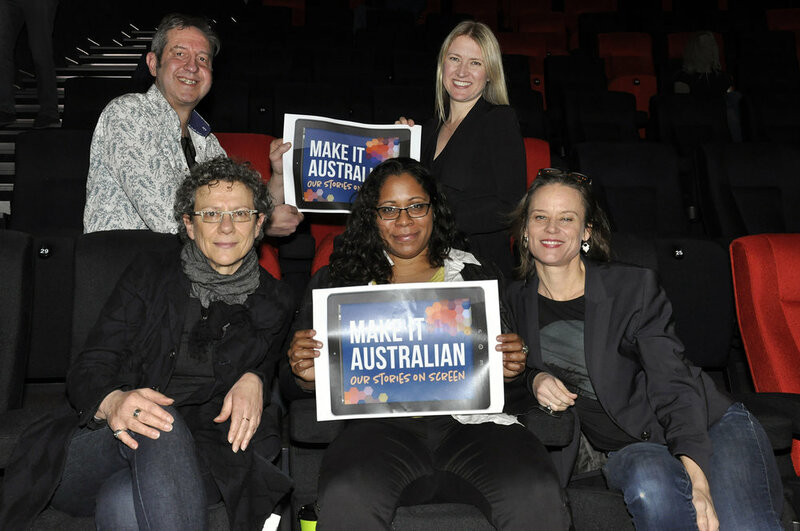 Yesterday, around the country, Australia’s screen industry united to launch the Make it Australian campaign. 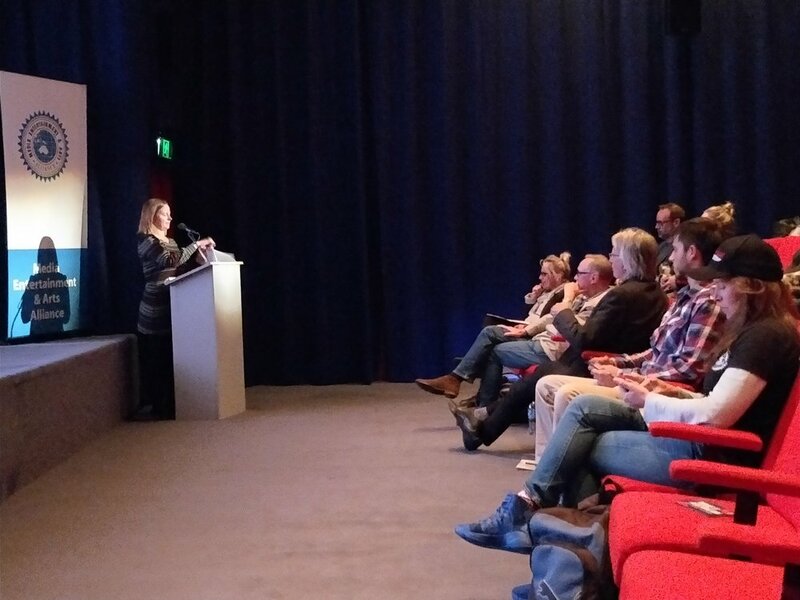 Australian screen industry luminaries such as Gillian Armstrong, John Edwards, Nadine Garner, Ben Elton, Scott Hicks, Joanna Werner, Helen Dallimore, Holly Lyons, Ana Kokkinos, Stuart Page, Marta Dusseldorp and many more spoke and attended the launches. 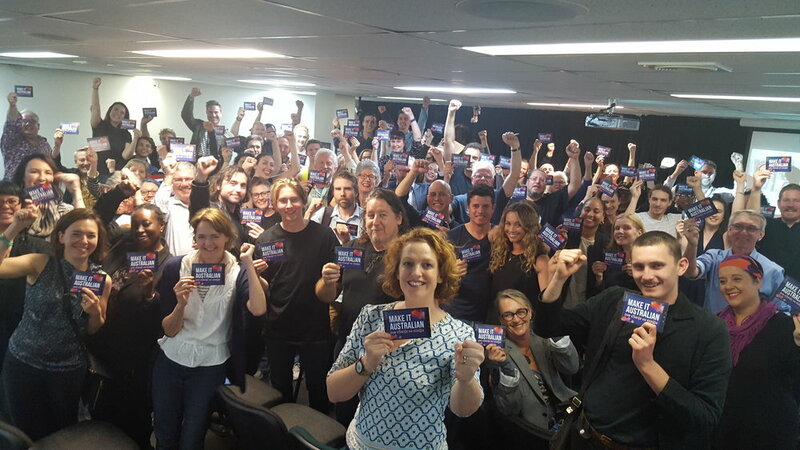 On an historic day, members of the Australian Directors’ Guild, Australian Writers’ Guild, the Media, Entertainment and Arts Alliance and Screen Producers Australia joined with members of the general public to launch the campaign. 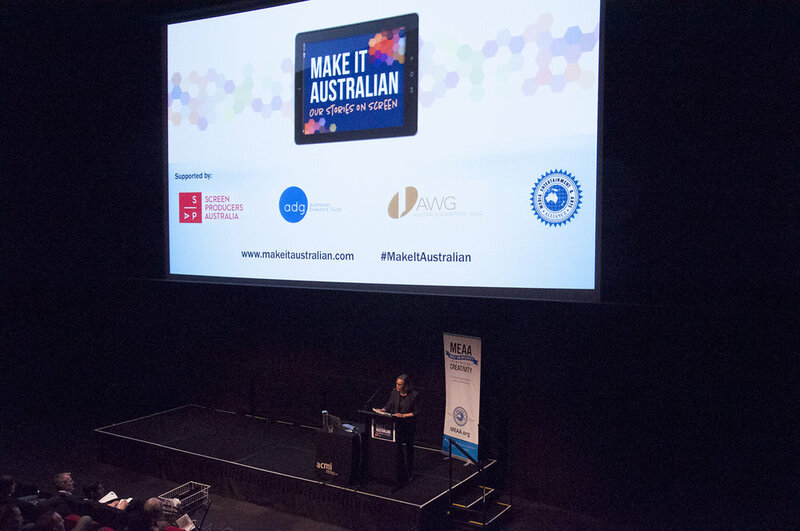 Nearly 1000 people attended launch events in Sydney, Melbourne, Brisbane, Perth, Adelaide and Hobart. The huge crowds heard screen industry professionals, including performers, producers, writers, directors and crew speak about what it means to them to work in Australia making Australian stories, the link between government policy and their work and the importance of continuing to fight for Australian content. “For me, last night was a timely reminder of why we all do what we do. We have come together and that is a great achievement, but now the real work starts. Yesterday was just the beginning. 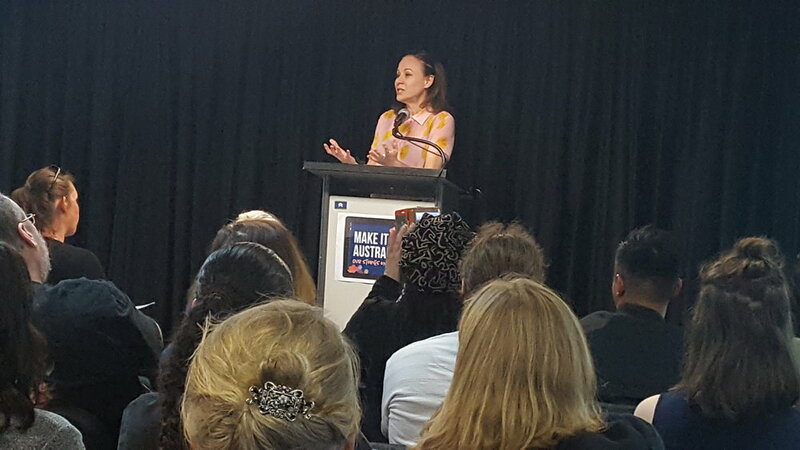 We need people to get involved with the campaign to ramp up the pressure.We’re at a tipping point and we don’t want to lose more of our talent overseas,” said Matthew Deaner, CEO of Screen Producers Australia. 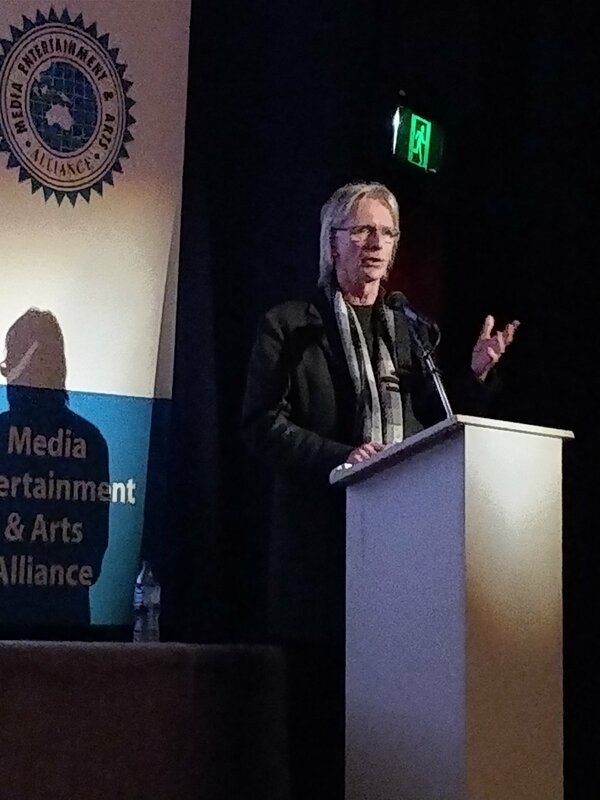 “It was clear from last night’s launch in Sydney and around the country that the production industry stands united on wanting the government to maintain Australian content on our screens. We need to keep the pressure on the Government to achieve this and this was only the beginning of a longer campaign. As Gillian Armstrong said last night ‘nothing changes without a fight’,” said Kingston Anderson, CEO of the Australian Directors’ Guild. The campaign is encouraging people to upload a selfie to show their support for the campaign.